Jon Klassen's "This Is Not My Hat" won the 75-year-old Caldecott Medal for illustration. (CNN) – The latest round of books you'll be seeing in your kid's backpack and waiting for at the library was announced Monday. That is, the American Library Association named the winners of its annual youth media awards, including its oldest and best-known prizes, the Newbery and Caldecott medals. 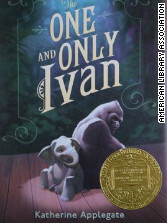 The Newbery Medal went to “The One and Only Ivan” by Katherine Applegate. It's a fictional story about Ivan, a real-life gorilla who lived for years in a cage in a circus-themed mall before moving to Zoo Atlanta in 1994. Stunned, humbled, thrilled. Love to you, @ahedit. 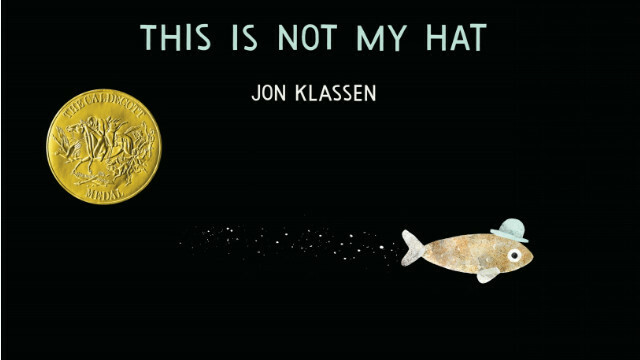 In its 75th years, the Caldecott Medal went to “This Is Not My Hat," written and illustrated by Jon Klassen. It's the story of a little fish who tries to get away with the hat of a much larger fish. Klassen also illustrated the Caldecott honor book, "Extra Yarn." "This Is Not My Hat" just won the Caldecott. And "Extra Yarn" just got a Caldecott Honor. "Bomb: The Race to Build - and Steal - the World's Most Dangerous Weapon," by Steve Sheinkin and "Aristotle and Dante Discover the Secrets of the Universe," by Benjamin Alire Sáenz, also received multiple honors from the library association on Monday. Katherine Paterson, author of "Bridge to Terabithia" and "Jacob Have I Loved," received the Laura Ingalls Wilder Award for "substantial and lasting" contributions to children's literature. Tamora Pierce, author of "The Song of the Lioness," won the Margaret A. Edwards Award for lifetime achievement in writing for young adults. The award announcements lit up Twitter as teachers and librarians streamed the awards announcement live, and classes watched to see how their mock Caldecott and Newbery votes held up. The awards are big business, too, meaning prominent placement for winners on bookstore and library displays. “Receiving a Caldecott Medal practically guarantees that the winning title will remain in print and on library and bookstore shelves for decades to come,” the library association posted on its website. 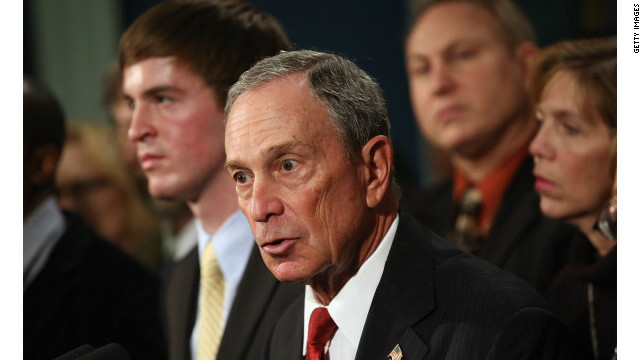 New York Mayor Michael Bloomberg graduated from Johns Hopkins University in 1964. (CNN) - A kid raised in a middle-class Boston suburb, Michael Bloomberg took out loans to pay for his tuition at Johns Hopkins University and worked as a parking lot attendant.He learned early to pay it forward. Bloomberg's first gift to his alma mater was a whopping $5 in 1965, a year after he graduated with a bachelor's degree in engineering. Fast forward to Saturday, when the Baltimore university announced Bloomberg has now given a total of $1.1 billion. The latest commitment came in the form of a cool $350 million toward a "transformational" initiative aimed at cross-discipline solutions to societal problems. In a statement, Johns Hopkins said Bloomberg, a former trustee, is believed to be the first person to ever reach the $1 billion level of giving to a single U.S. institution of higher education. The university's Twitter feed was aglow with information on the gift. One tweet heralded the announcement with the words, "Big News," which might have been an understatement. Among other things, the donation will fund 2,600 Bloomberg Scholarships over 10 years and 50 distinguished scholars. Of the $350 million, $100 million will go toward "need-based financial aid" for undergraduate students. "Johns Hopkins University has been an important part of my life since I first set foot on campus more than five decades ago," Bloomberg said in the press release. "Each dollar I have given has been well-spent improving the institution and, just as importantly, making its education available to students who might otherwise not be able to afford it."